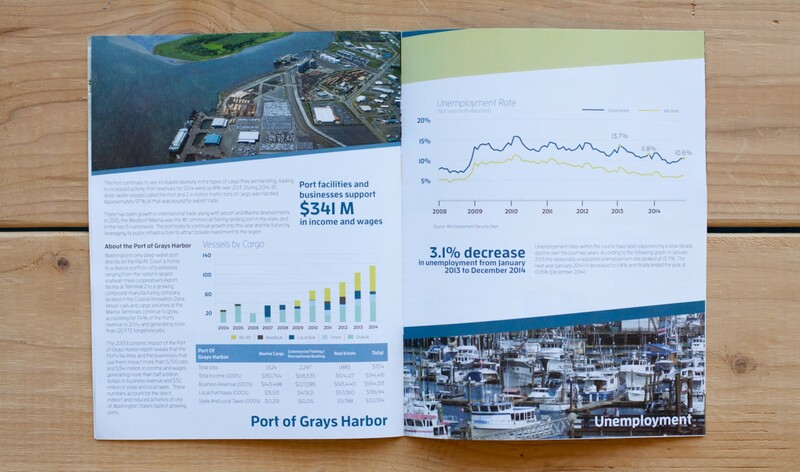 The annual report, developed by the local county chamber organization, Greater Grays Harbor Inc., provides economic data to us via spreadsheets and we produce a beautiful print booklet presentation with graphs, charts, photography and text layouts. The final piece is presented at the annual State of Grays Harbor event. 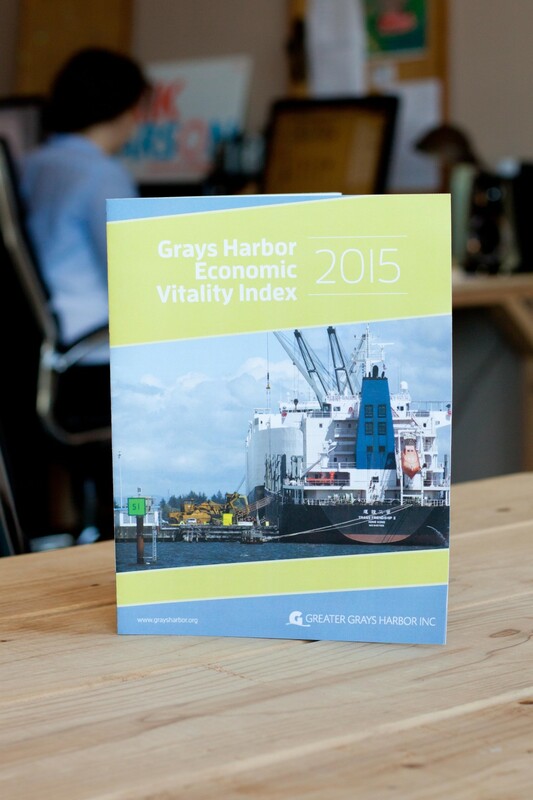 The booklet sums up a great deal of data accurately and effectively while still maintaining the branding style and colors of the Greater Grays Harbor Inc. organization. Client Greater Grays Harbor Inc. Working with the already in place Greater Grays Harbor Inc. logo, we pulled the colors from the logo and reworked them slightly to be subtle and pleasing color palette for the document. We initiated this project in 2015 and have updated the design slightly year over year, providing a cohesive document with accurate data and positive imagery.